Aszure Barton’s feature length dance Awáa, with music & sound design by Curtis Macdonald. Henri Matisse: The Cut-Outs at MoMA, a campaign featuring original scoring by Curtis Macdonald. Glimpse into the quiet solitude of Tony Cross. Music by Curtis Macdonald, Bing & Ruth. Figmentum I by The Curtis Macdonald Group. Julliard Open Studios, a digital portal and app. Choreography with Larry Keigwin, music by Curtis Macdonald. Henry Threadgill Live at the historic Village Vanguard, for the Meet The Composer episode “Dirt, and More Dirt”. Written, engineered & produced by Curtis Macdonald. 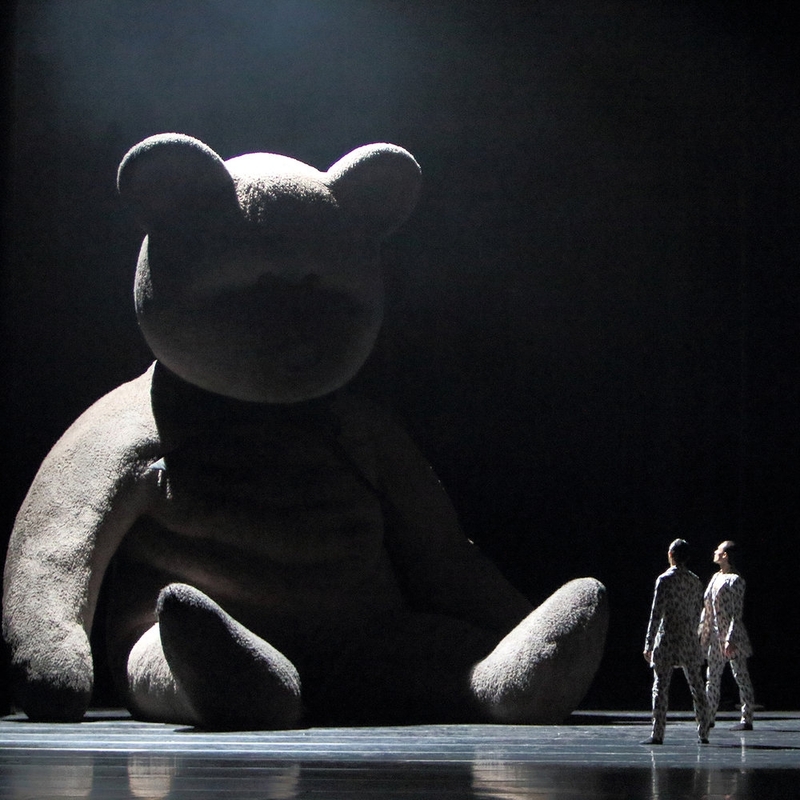 The giant teddy bear from the set of the ballet “Adam Is”, commissioned by the Bavarian State Ballet in Munich, choreographed by Aszure Barton, set design by Burke Brown, with original score by Curtis Macdonald. Terrance McKnight, host of “Leonard Bernstein’s Black America”, in session with Curtis Macdonald, who produced and sound designed the episode, at the soundcheck studio at New York Public Radio.